Home Community Which Exciting Camp Will Your Child Love? Whether your child enjoys making robots, cooking, crafting, or playing sports, FCDS Summer Enrichment has plenty of activities to let him or her discover new passions, create masterpieces, meet friends, and take learning to the next level. Our experienced instructors and excellent facilities will ensure a memorable summer experience for your child. FCDS Summer Enrichment offers more than 60 different camps as well as 13 academic programs through the Johnson Academic Center. 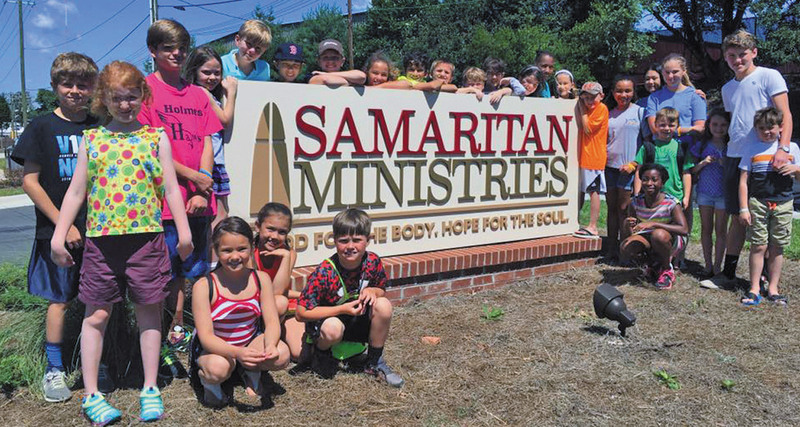 What better way to spend summer than serving others while being served in return? Each morning we will begin with a service project to benefit others in our community. After game time and lunch, we’ll head out for an afternoon of fun as we hit the pool, catch a movie, tee up for putt-putt, knock down some pins, or roll around the skating rink. Let’s go Under the Sea and bring one of Hans Christian Andersen’s most beloved stories to the stage! Disney’s The Little Mermaid is a beautiful story for the ages. With catchy music and a compelling story, this fishy fable will capture your heart with its irresistible songs. Would it be fun for your child to climb in a time machine to explore the setting of some of favorite Disney movies? Your child can spend the day in London like Mary Poppins, Greece like Hercules, or China during Mulan’s time. Campers will create cool art projects, play games, read stories, and have fun while learning about history. This program develops young leaders and is a prerequisite to be an FCDS Summer Enrichment counselor in 2019. Your child will experience class time learning about the characteristics of leadership, help lead group games with younger campers, and assist in other sessions to put leadership skills to good use. Does your child want to explore the world of mobile robots? In this beginners’ workshop, your child will learn to write programs in C. Using sensors and quadrature encoders, robots will be programmed to perform a myriad of tasks. Programming topics will include program organization, variables, looping, “if” statements, arrays, and functions. Improve personal and team skills while having fun. Younger players and beginners will learn and hone basic skills, such as throwing and catching, ground balls, player positions, and team skills. Older, more experienced players will improve their skills through scrimmage, non-dominant hand practice, and defense and offense positioning. This “mini accelerator” gives young entrepreneurs a chance to acquire valuable skills by learning how to view problems as opportunities, working in teams to identify opportunities and come up with solutions, and ultimately trying to create value out of the solutions they identify. The camp concludes with a “pitch day,” where the teams will pitch their ideas to an expert panel. Join the FCDS dodgeball king Coach Mike Martin and come and see why this classic game is all the rage. Experience every kind of dodgeball game possible as we play, play, and play some more! Come learn what it means to create an app for a mobile device using MIT’s App Inventor software. Your child will experience what it’s like to program for a tablet or smartphone operating system while learning some basics about logic, user interface design, persistent data, and more. Basketball is all about teamwork, coordination, and effort, but at the FCDS Basketball Academy, it is so much more than that. Through this age-old sport, your child will learn to work with teammates, honor the game and opponents, and develop healthy living habits. The camp will focus on fundamental skills, along with team play.